In the summer of 1956, my mother and I pulled up what few stakes we had in western Kansas and took a Greyhound bus to Colorado, where she had taken a housekeeping job, sight unseen, on a large wheat farm northwest of the tiny town of Nunn. In Kansas, the Rock Island had been dieselized for a few years and I was not old enough to remember steam locomotives there. 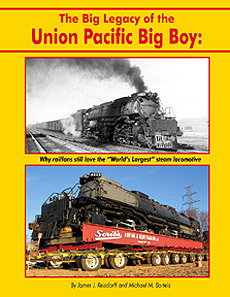 As usual, South Platte Press has packed a lot of interesting information and photographs into an inexpensive, 64-page paperback, that is well worth the $19.95 price. See their website for ordering details.